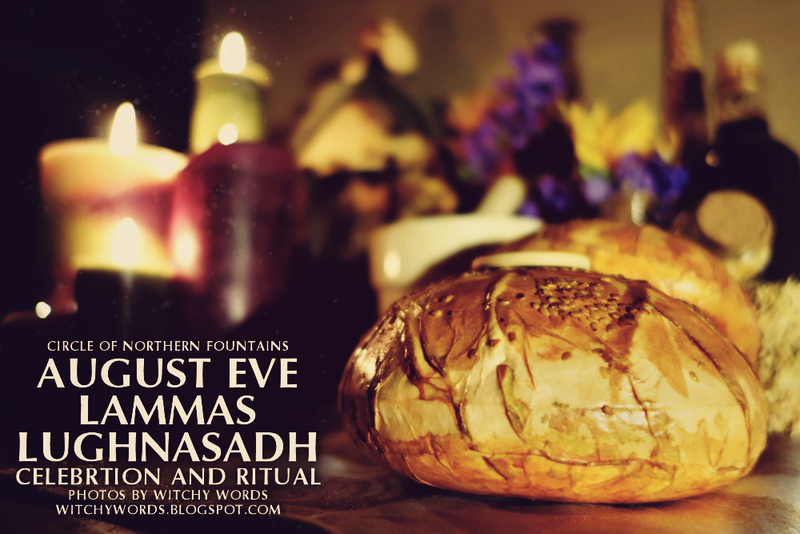 This post will cover the August Eve / Lammas / Lughnasadh celebration and ritual by the Circle of Northern Fountains. 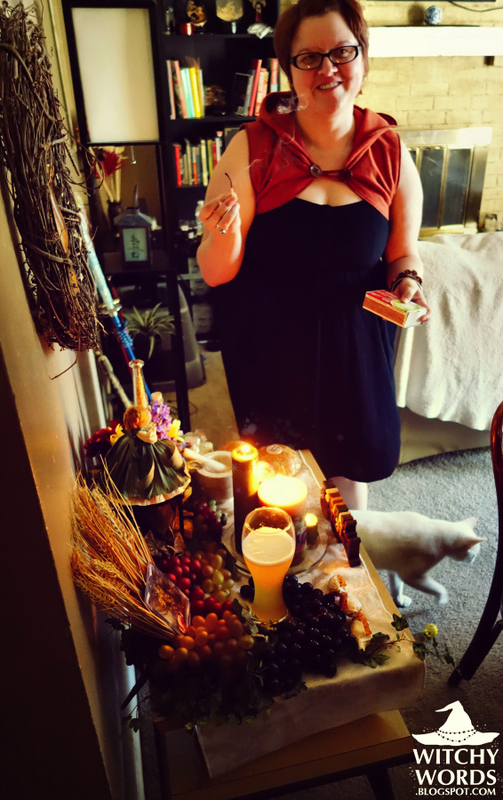 For pictures of my personal August Eve altar, click here! 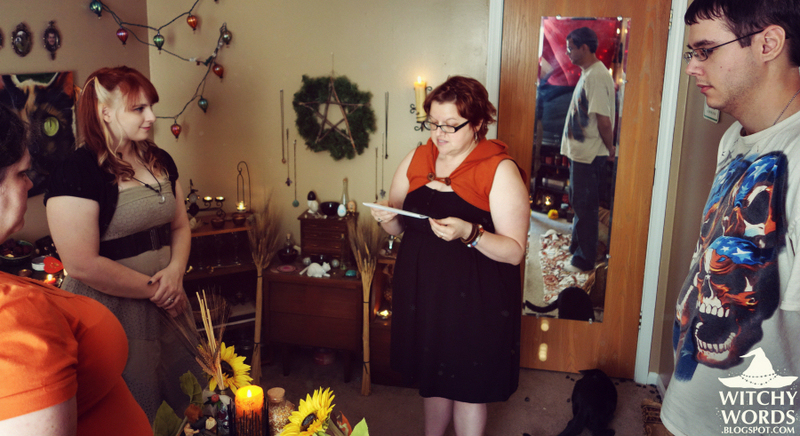 To see the Circle of Open Traditions 2013 ritual, click here! 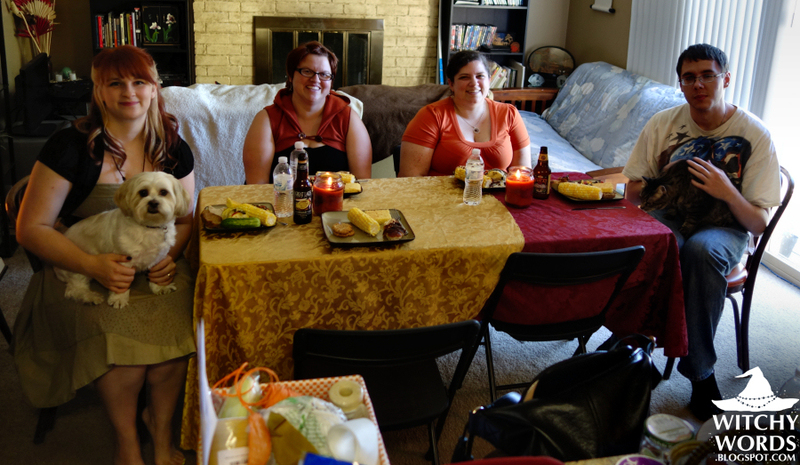 CNF's August Eve ritual was written and led by Jessica! 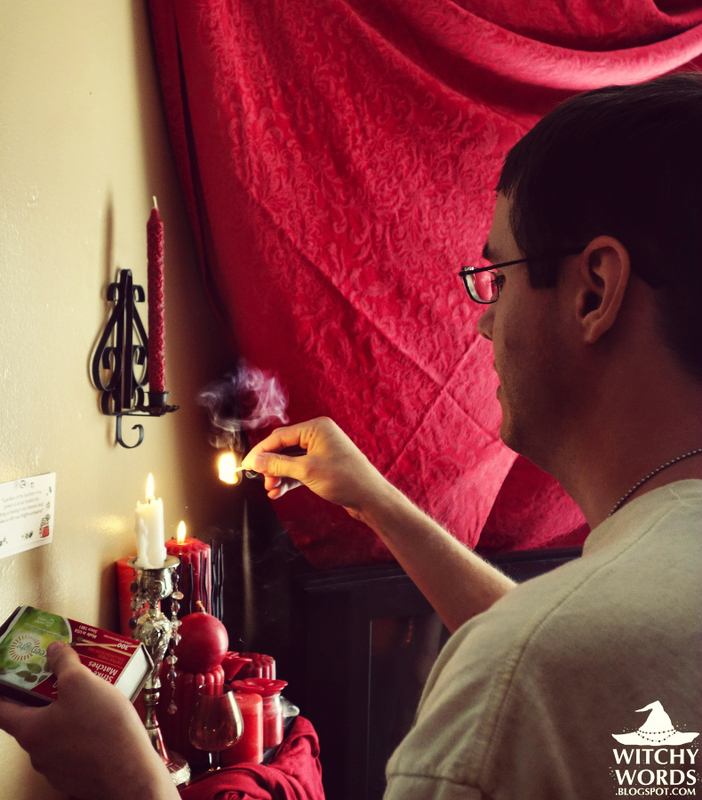 I hosted it at my apartment, and we began the celebration by lighting my altar. For this sabbat, we agreed to have a pot luck. Everyone involved brought something to the table! 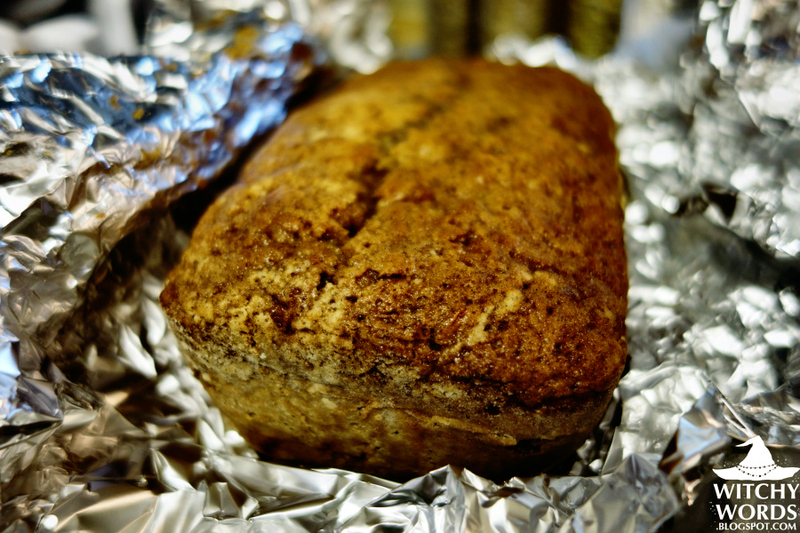 ... and her homemade zucchini bread, made with fresh zucchinis from her garden as well! Most of you know from a prior entry that my mom is actually Baptist, but incredibly accepting of my religion. I was thrilled to see her get involved with the food aspect of it. And her zucchini bread is to die for. All of the members made large strides to keep the dinner gluten-free as I have Celiac Disease. This meant that we avoided wheat and focused on corn. 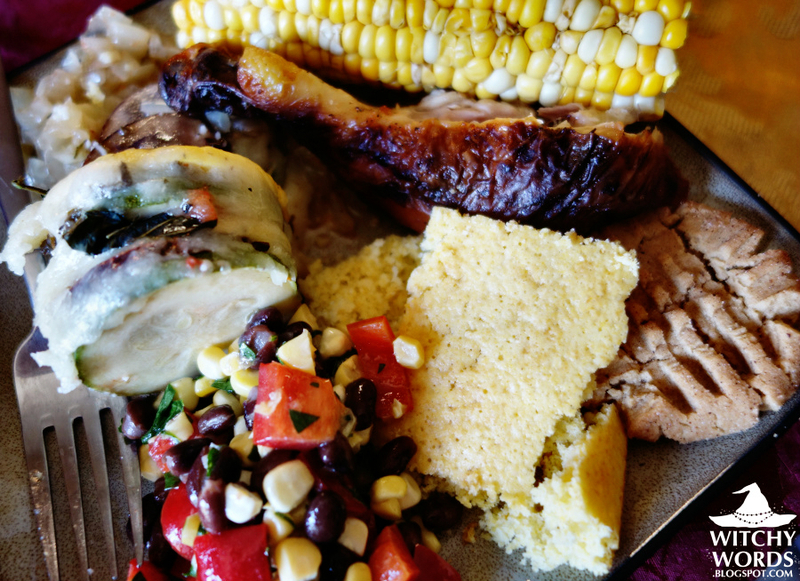 We had corn bread and corn on the cob. 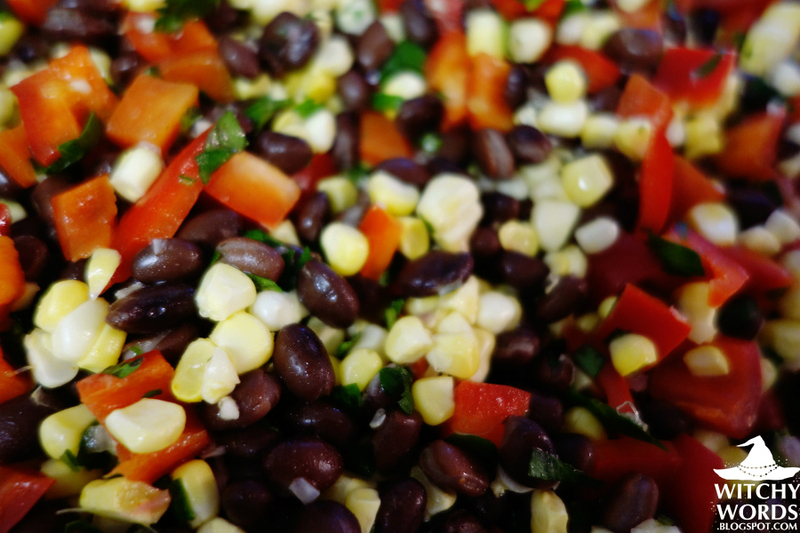 Jessica brought a black bean, corn and red pepper salad, which was delicious and even made flour-free peanut butter cookies! They were amazing! Emily brought a seasonal vegetable casserole as well, topped with cheese and served hot. The meal was absolutely everything you'd want your gluten-free Lammas dinner to be! 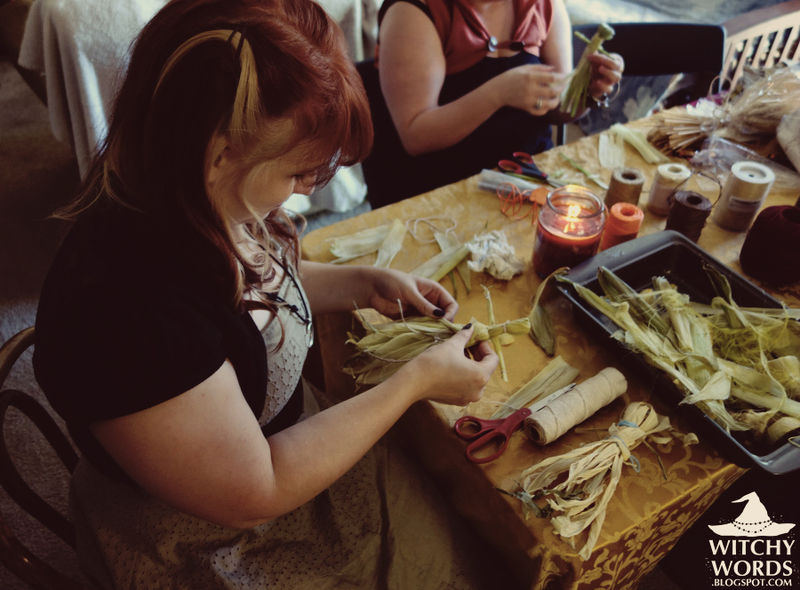 The best part about serving corn on the cob is that the husks could be used for our next project! 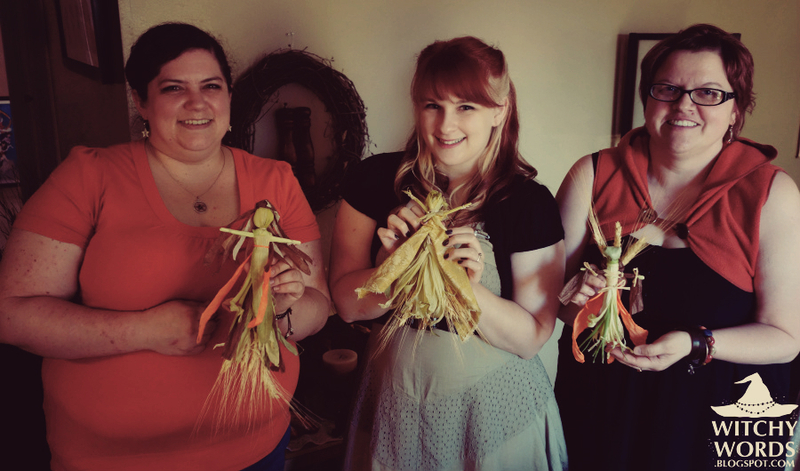 Along with these, Jessica brought husks of her own and a multitude of decorations we could use to make corn dolls! Some pagans believe that the spirit of the corn lives among the field. 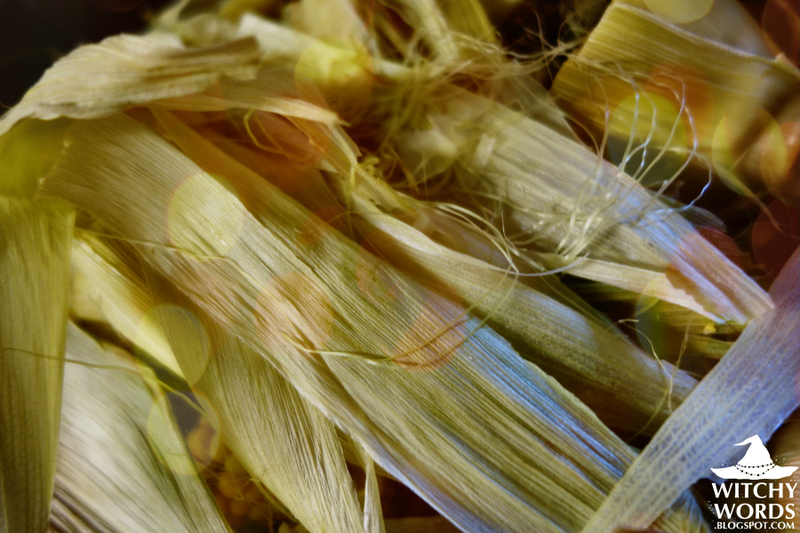 When the corn is harvested, the spirits are left homeless. Corn dolls allow the spirit to find a home until the next harvest, when the corn doll is traditionally buried. These dolls can also be buried the following Lammas! 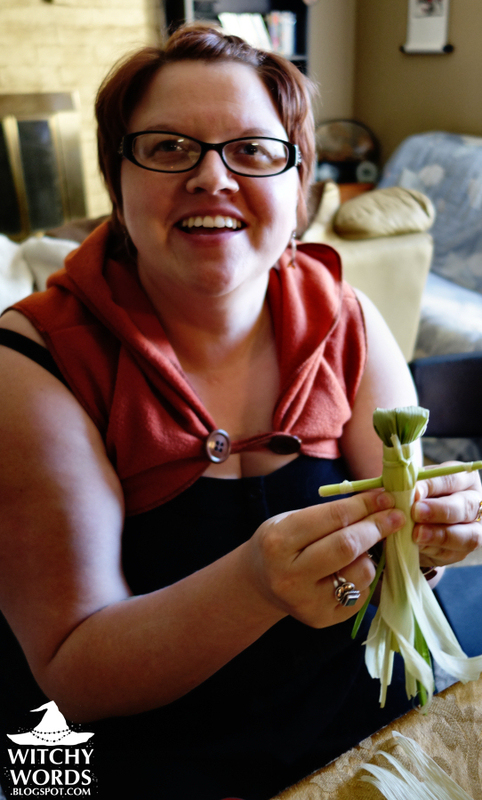 Once we completed our corn dolls, we proceeded to my spiritual room for Jessica's ritual! 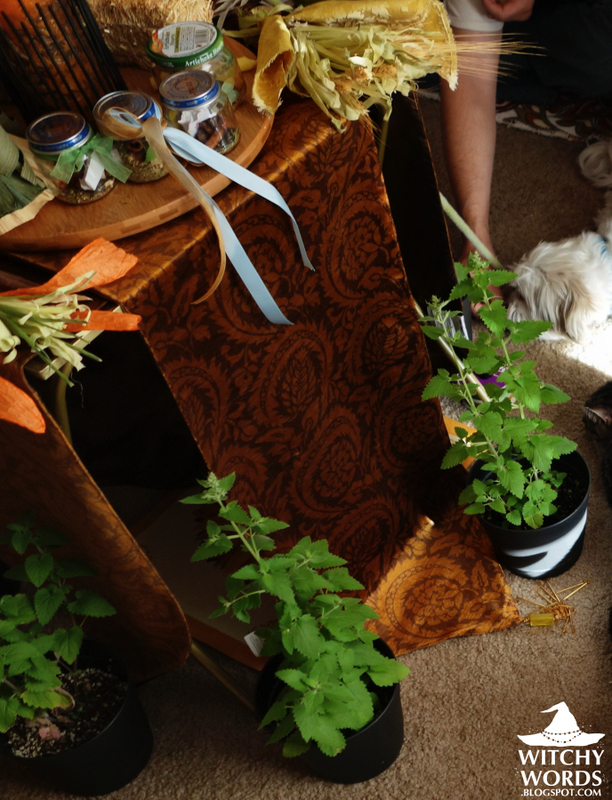 We even let my familiars join us this round as we had two CNF members unable to attend, giving us more space in the room. We began by opening the circle, of course. We first spread salt, then called the quarters. Finally, we lit the center altar. 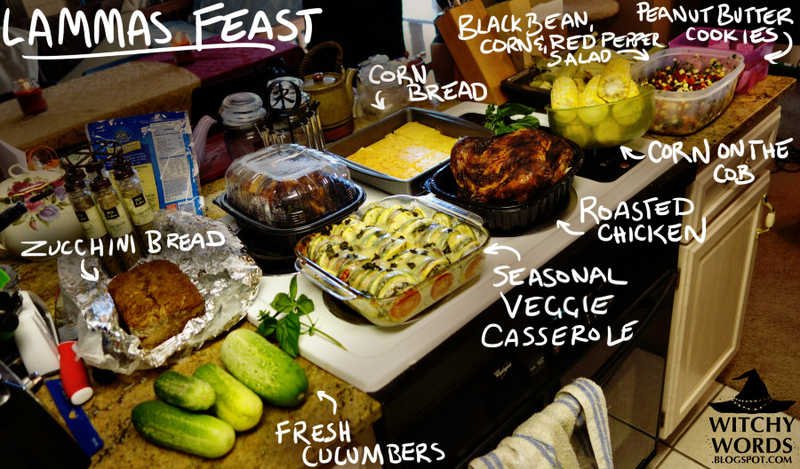 Jessica began by explaining the various meanings of the holiday. 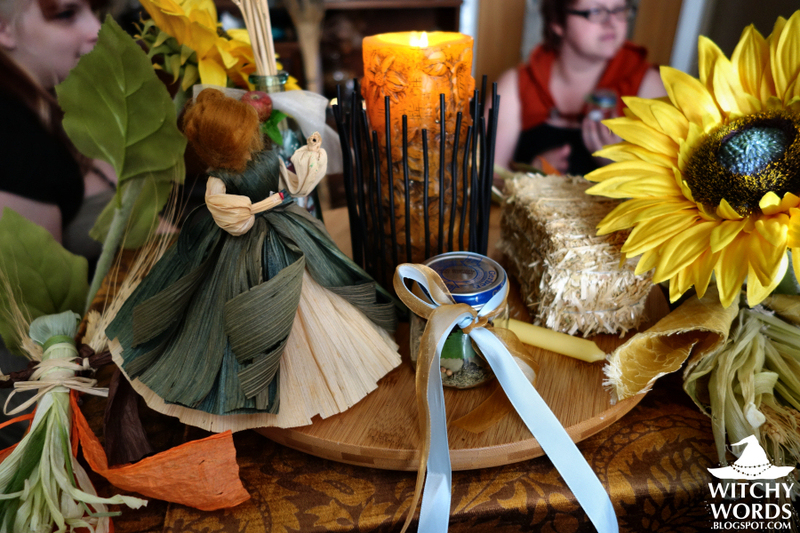 August Eve is the first of the harvest festivals, often considered the festival of the grain. It is also the celebration of the Celtic god Lugh for some pagan paths. She then passed around a small bag with citrine. Citrine represents protection and prosperity, which is prefect for Lughnasadh! 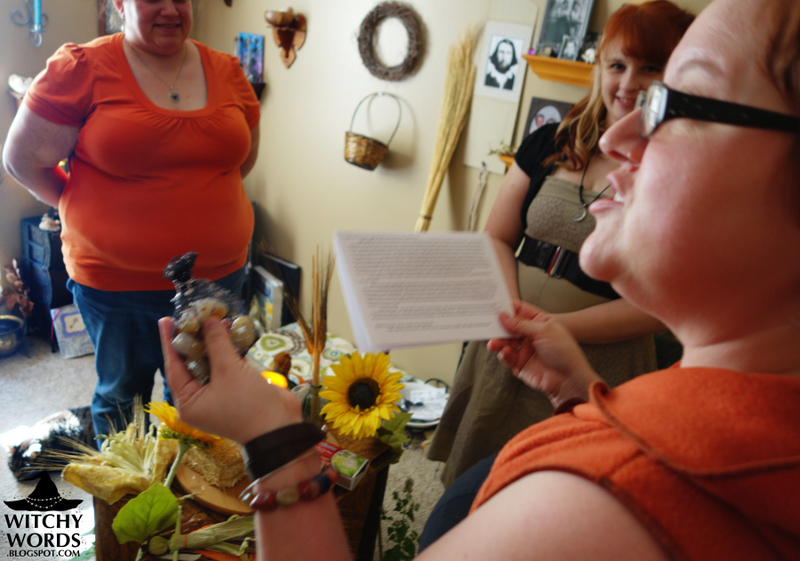 Jessica had previously cleansed the stones with sage and cedar. 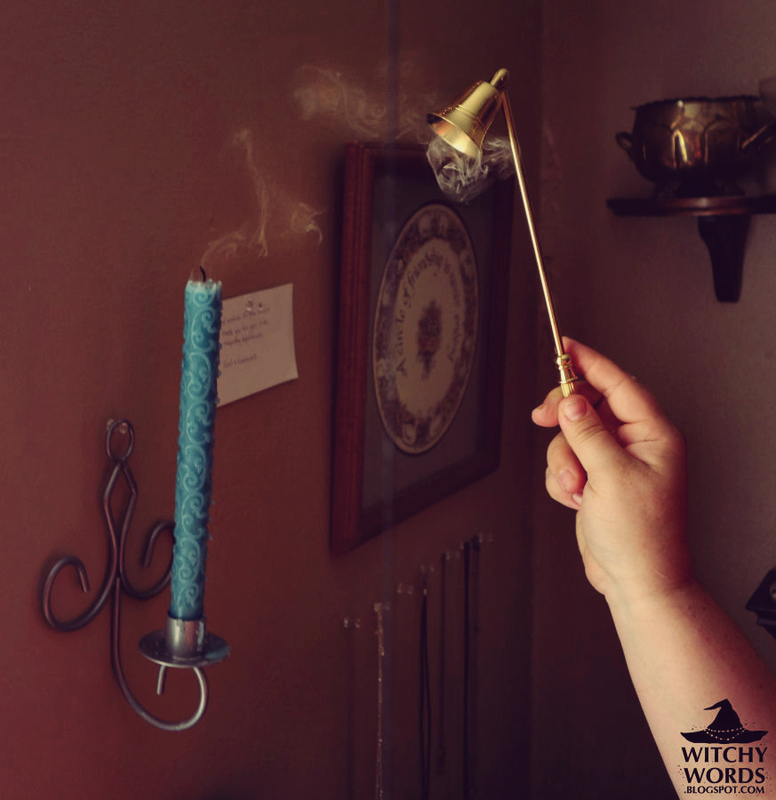 She then used a homemade incense that included lavender, jasmine and mistletoe. These worked together to imbue the citrine with luck, prosperity, inspiration and protection. 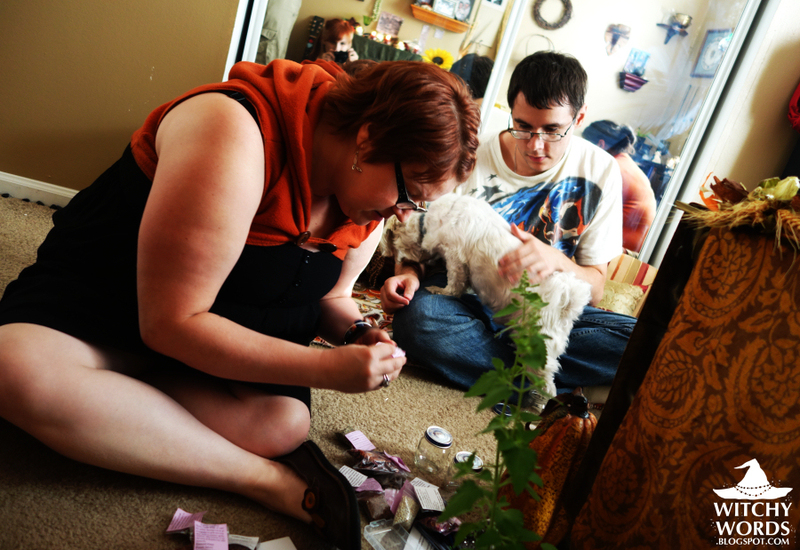 We then sat down to make witch bottles! Historically, witch bottles were actually used for protection from curses, demons and witches. 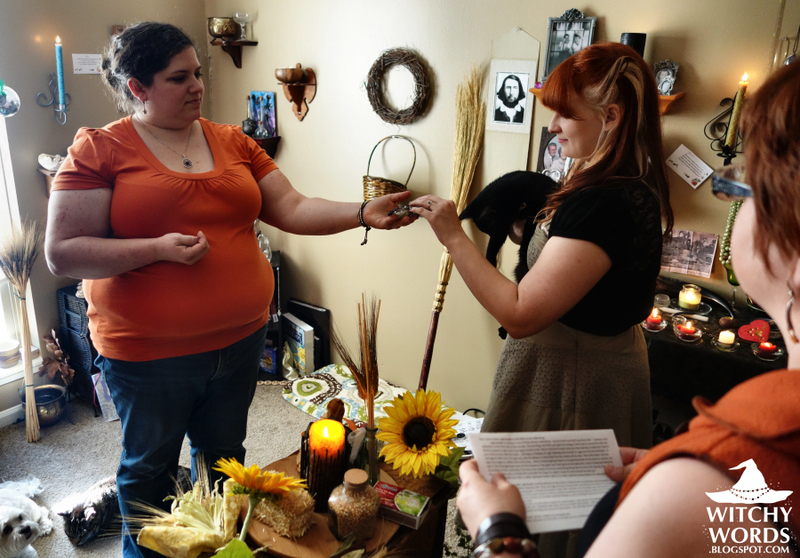 However, pagans, Wiccans and witches have recently embraced the tradition as a form of spell work. 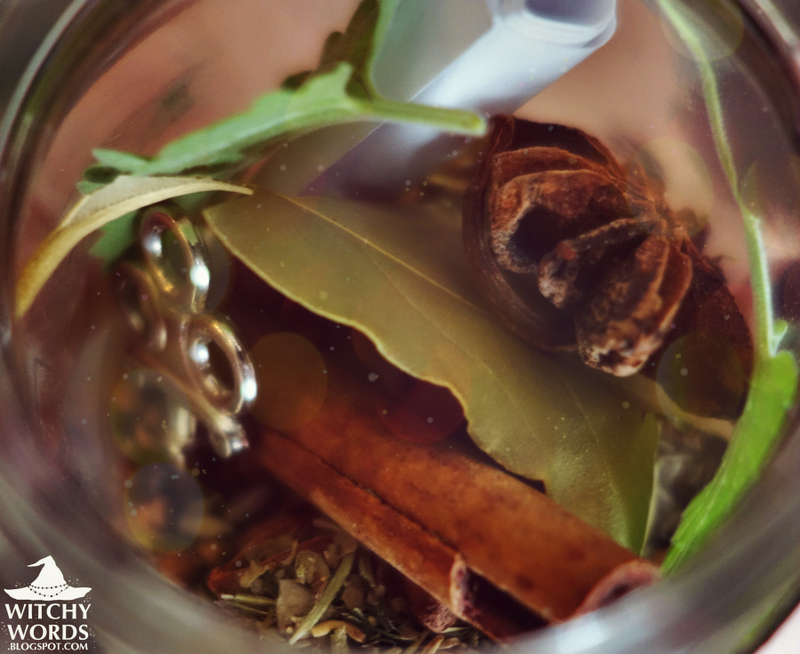 While most commonly still used for protection, a witch bottle is a magickal tool that can be filled and charged for almost any intent. 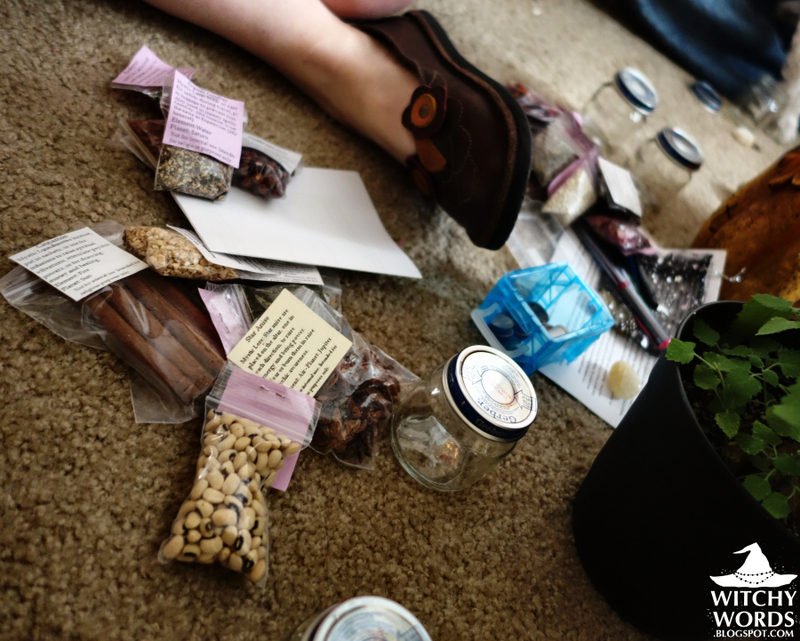 Jessica brought a whole slew of items and herbs, and I offered up gemstones, oils, herbs and incense I had stored in my spiritual room. ... and Tony focused their witch bottles on finances. 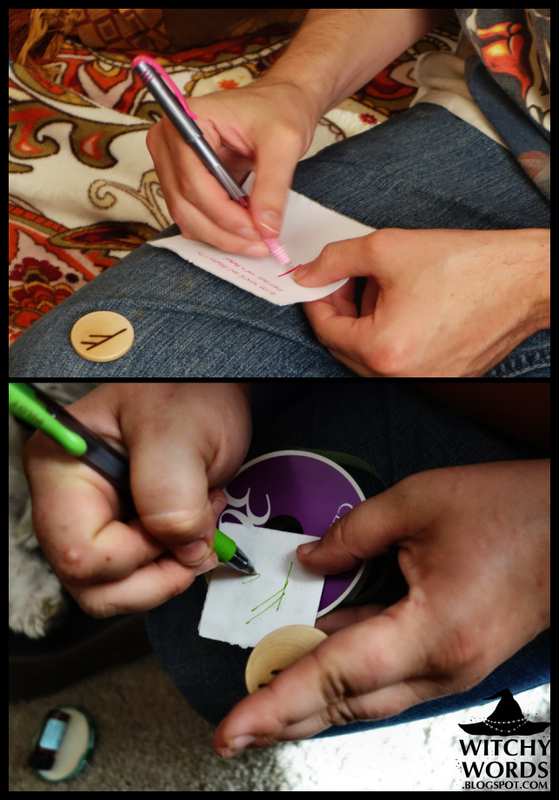 This was particularly notable by the use of the Elder Futhark rune, fehu on many of the inserts. I dual-purposed my witch bottle for protection leading to happiness. 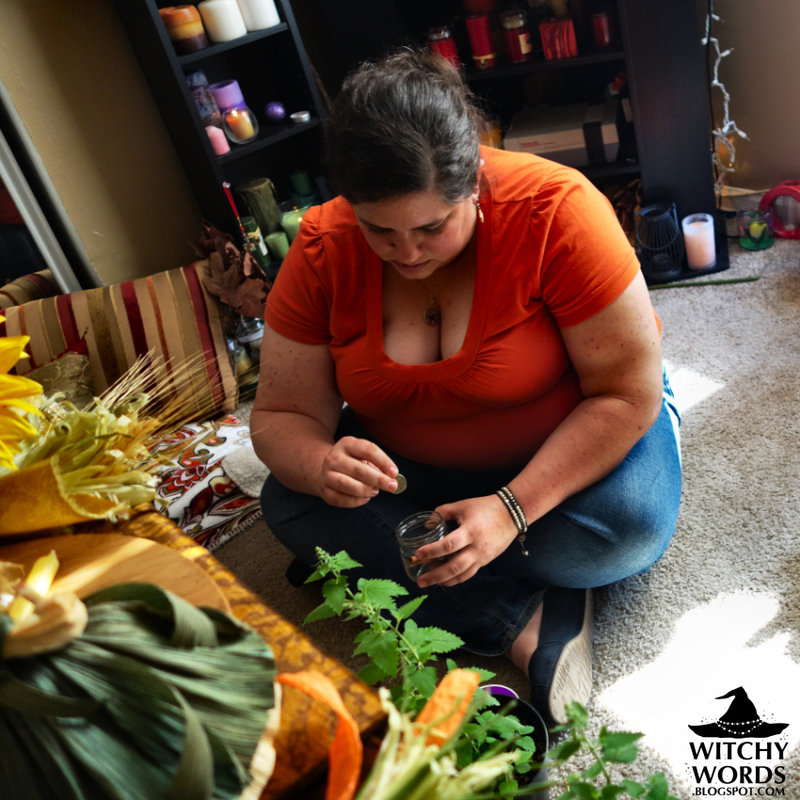 Once the witch bottles were complete, we tied appropriately-colored ribbon around them and charged them with our intent. Here's a picture of my finished witch bottle. And here's everyone's bottles sitting on the altar! Once everyone completed their witch bottles, Jessica said a short closing statement and we released the quarters, ending the ritual. 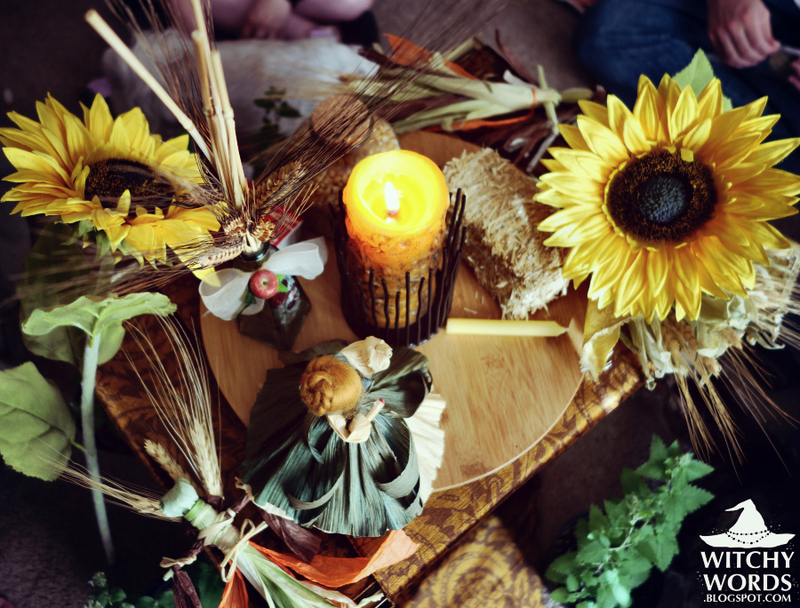 And that concludes the Circle of Northern Fountain's August Eve / Lammas / Lughnasadh ritual for 2014! From my circle to yours, have a fantastic August Eve! 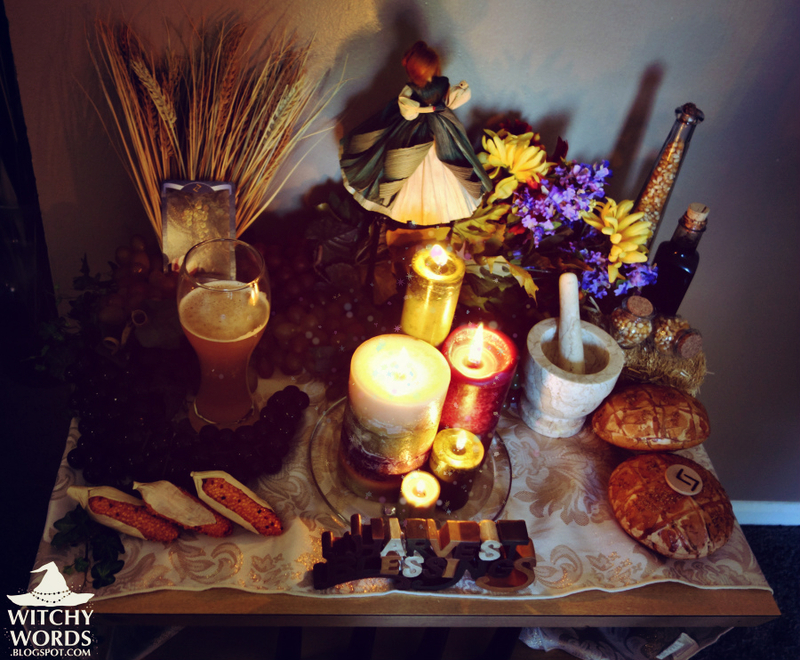 Coming soon: Liithi Lushede Coven's public Lughnasadh ritual. To see the previous sabbat, Midsummer / Summer Solstice / Litha, click here! I love how open you are about your rituals and taking pictures during them. very few Pagans do that, which I understand, but it is really nice to SEE what's being done. I never considered purple as a Lughnasadh color, but considering grapes, lavender, eggplant, etc. I may have to expand my color correspondences. Thank you so much, Kristina! 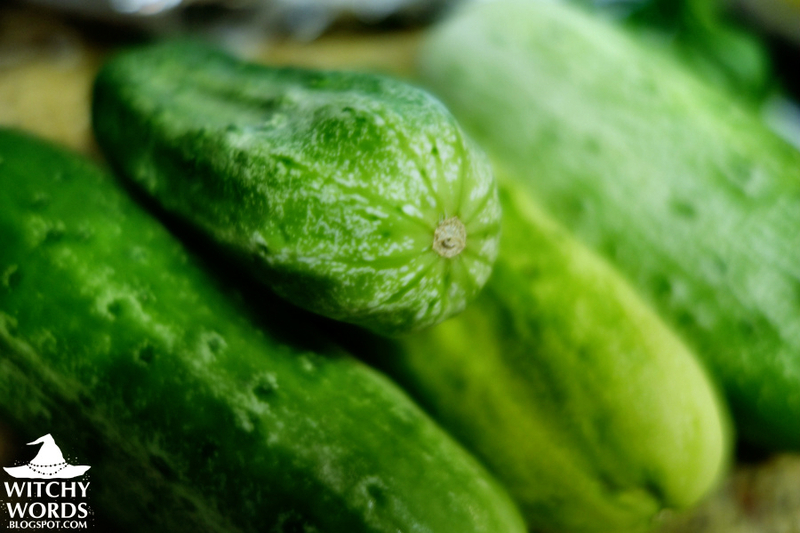 To be fully transparent with my beliefs and practices is the primary goal of this blog. Not only that, but I think I've learned more about my religion and myself by blogging than I had in the 10 years of being pagan prior to Witchy Words. Your comments mean a lot to me and remind me that I'm on the right path! 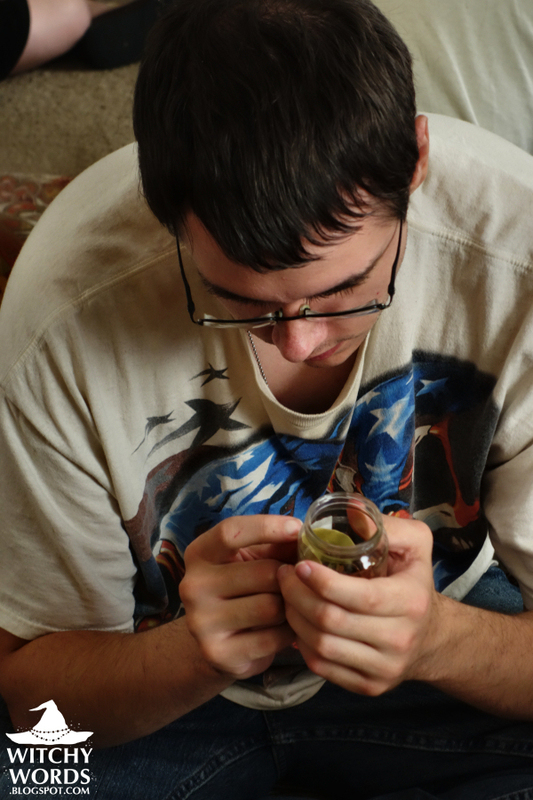 Like that you guys used on baby food jars for the witch bottles. Good use of them! I've got to give Jessica full credit for that. I'm all for recycling what we've already got! I just want to say that your little dog is adorable, and looks so sweet. 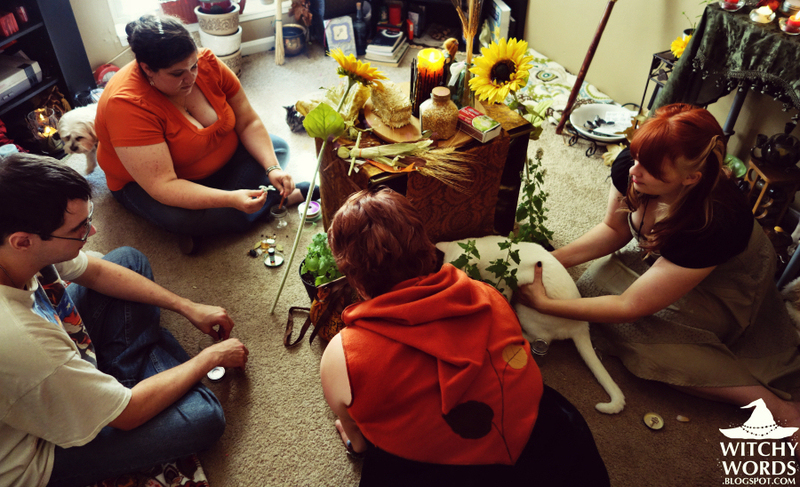 How cool that all your furry friends are involved in your rituals, meetings, etc. Thank you so much! Artemis is so mild-mannered. 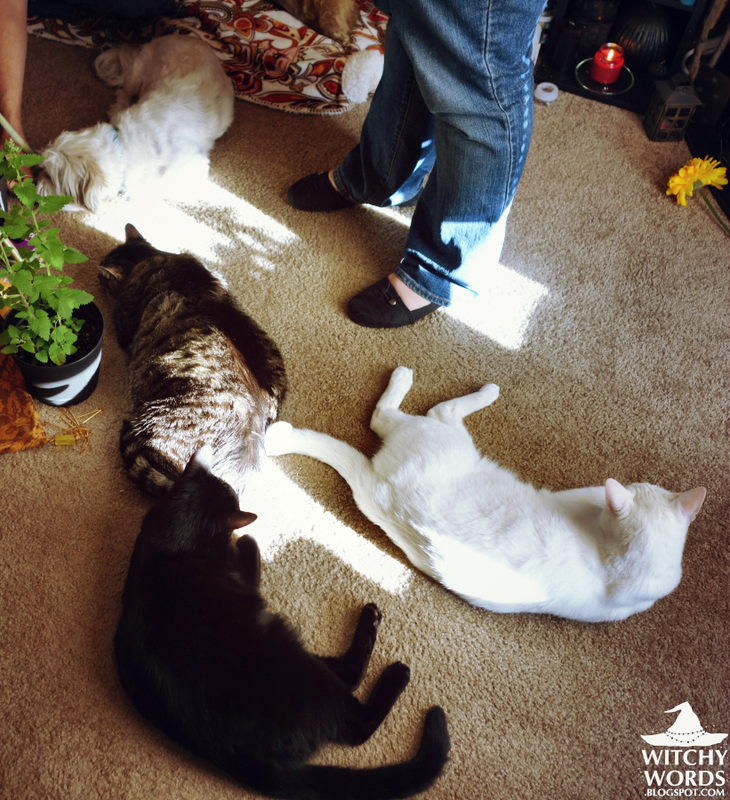 In fact, all of our pets are really well behaved. I couldn't have asked for a better set of familiars!